The Christian movie Amazing Grace takes us back to the 1700s and tells us the story of William Wilberforce. A story of undeniable faith and gives us an example accomplishing God’s calling for one’s life. This movie pushes viewers to seek God’s purpose and trust that he’ll help every step of the way. 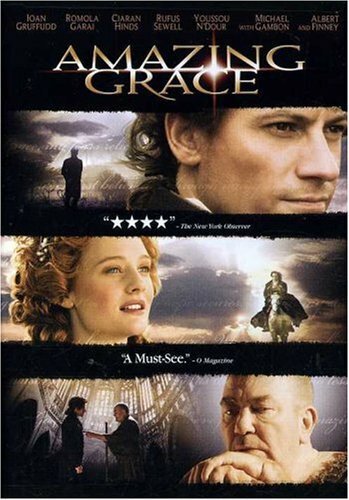 To tell you more about this Christian movie, Amazing Grace tells the story of William Wilberforce and how he manages to accomplish a seat in parliament wanting to end the British slave trade. We meet William in Bath, 1796 and he is actually quite sick. While in this place he meets Barbara Spooner, she seems to be interested in him but he doesn’t return interest. He is determined not to have a serious relationship with her but as he tells her the story of how he accomplished to achieve his career they actually become good friends and eventually mutual feelings begin to arise. Then in this Christian movie, the audience is taken back two 1782 when William was just at the start of his career. It was in this year when William first started working towards abolishing slavery. At this moment in his life, he is of course younger, and he has enough motivation to want to change the world. He knows he wants to accomplish many great things but he really doesn’t know how to begin or what he will actually accomplish. It’s at this time that William from Amazing Grace joins Parliament and brings a fresh point of view to their meetings. Even though he’s always visualized himself working in politics, suddenly theology interests him. He has to make a decision and see what he really wants to do but his friends at Parliament encourage him to take a chance of theology. They encouraged him to work on something that he really finds fulfilling so it’s then when he begins working with the abolition movement with full support from his friends. Choosing to work with abolition movement gives him some trouble since at this time those who oppose slavery were frowned upon and encountered much opposition. But when William meets John Newton, his belief grows stronger when hearing John’s testimony. John reassures William that slavery is something that has to end, that those people in Slavery are just that, human. That their lives matter just as his does. He mentions that the slaves are being treated like animals you are constantly going through hardships that they don’t deserve. After meeting this man, William is sure that he is in the right place. It’s in this moment during Amazing Grace that Wilberforce is appointed the Prime Minister’s confidant. They both have similar outlooks and intend to speak about slavery. They present a bill before the House of Commons that ends slavery and everyone there mocks the whole idea. Even though he has big opposition she does not give up and continues to support the end of slavery. Now in this Christian movie years have passed and William has not been able to accomplish his purpose of helping abolish slavery. Since there has been no change William begins to feel discouraged and doesn’t see any difference from everything he’s done. He has given his life basically to eliminate the slave trade that his health and emotional condition have been affected. This is when he’s sent to Bath to get better. Now I’m back at the beginning of the movie and here is where the story continues. As he’s telling Barbara his story she encourages him to not give up and keep on fighting for what he believes in. She is sure that his job has not finished and that he is meant to change the world. Soon William changes his mind about Barbara and they get married. Years go by and Wilberforce continues his fight over the slave trade and continues to fight for what is right. It’s not until 1807 that slavery England finishes and the slaves become free. Even though the Christian movie Amazing Grace presents William’s story and his purpose, it also shows that he was human and he had times of discouragement and sickness that made him doubt that he actually could accomplish this calling. It also demonstrates God’s hand and how He backs up those who trust him.